For sale a corgi 334 Mini Cooper magnifique. 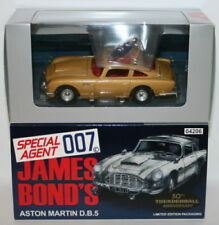 Corgi 260 with Culfi Toy Soldiers Ice Race Mini Cooper 007 James Bond Code3. Vintage Corgi Toys BMC Mini Cooper `S` Monte Carlo Rally in need of restoration. Please use pictures to form part of the description. Dispatched with Royal Mail 2nd Class. Corgi Matchbox Dinky Scrap Vintage Collection Scrap Job Lot Mini Aa. Condition is Used. Dispatched with Royal Mail 2nd Class. Beautifully restored in replica red with white roof is this superb Corgi Toys 339 BMC Mini Cooper S Monte Carlo Rally Winner 1967 with Repro Box. Sump plate was missing and has been replaced with a replica part. The windows are nearly flawless with hardly a scratch to be seen. One jewelled headlight was missing that has been replaced although grey plastic housing that the jewel sits in could not be replaced but it does not greatly affect its display appearance. The road wheels including those on the roof rack have been resprayed in chrome paint. Comes with fully functional ‘Glidamatic’ spring suspension and a full set of 6 new tyres and is complemented by a nice Repro Box. This is as good as many mint examples. Contact me if you have a question and thank you for looking. 500 to 1 kg = £12.99. 500 to 1 kg = £19.99. THIS WILL SUBSTANTIALLY KEEP THE COST DOWN FOR YOU. 1.5 to 2 kg = £32.99. 1.0 to 1.5 kg = £25.99. Up to 500g = £8.99. Up to 500g = £13.99. ORIGINAL WINDOWED BOX number C 200. 1976/78 BOXED CORGI MINI 1000.
corgi Mini Cooper in good used condition apart from one head light out. Condition is Used. Dispatched with Royal Mail Signed For® 2nd Class. Lot vintage CORGI MINI C330/7 1/43 INTROVABILE!! Superbe! rare!!!! Schuco, Dinky, Matchbox, Corgi etc. e combinate gli acquisti! Corgi 341 Mini Marcos in printed reprobox. Kein Lagervorrat ! Es wird kein Wert auf absolut neues Aussehen gelegt. Kein Original ,aber fast wie original. la facture ! Corgi fina Classic motors fina mini en OVP. Außerhalb Deutschland sind die kosten etwas höher. Modell ist sehr gut. OVP ist sehr gut. Corgi Toys (227) Morris Mini Cooper. en Caja. CORGI TOYS(1962-65)227-MORRIS MINI COOPER,RACING NUMBER No1. 3 CORGI TOYS MODELS. LINCOLN CONTINENTAL. MORRIS MINI MINOR. Made -1960'S. Corgi 448 the attractive 1960s model of the mini police van in good condition. Wheels axles base suspension tyres windows interior doors all good. (models which need to go in a box may cost more; combining high value or heavy models will cost more). corgi toys morris mini minor. Condition is Used. One of the tyres on the wheel is missing and paintwork shine in photos. Dispatched with Royal Mail 2nd Class. Corgi Mini Magnifique no 334 and Mini Marcos no 341 both in play worn condition all tyres are good . 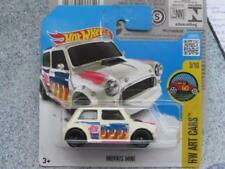 1965/68 BOXED CORGI MORRIS MINI COOPER. Original Box number 249 Model in VG CONDITION. BOX showing signs of wear Price mark on 1 end. Here we have an original 1960,s playworn rarer BMC Mini Cooper S magnifique car no 334 Corgi car. 'THE ITALIAN JOB' 3 MINI'S SET. EXCLUSIVELY PRODUCED FOR AND SOLELY SOLD BY MARKS & SPENCER. THIS SET HAS NEVER BEEN OPENED AND IS STILL SEALED BY TAPE ROUNDALLS, ALTHOUGH ONE INNER FLAP CAN BE SEEN TO BE DISPLACED. The original box is complete and in very good condition but with wear to flap hinges and a tape repair to one. Excellent with only the slightest faults. Good but with obvious wear. Most of our toys are given a condition grading consisting of 2 letters. CORGI MINI COOPER - 2001 CORGI CLASSICS.BOXED AND IN PRISTINE CONDITION.AFTER FORTY ONE YEARS,THE YEAR 2000 SAW THE PRODUCTION OF THE MOST FAMOUS SMALL CAR OF ALL TIME COME TO AN END.2001 SAW THE REBIRTH OF THIS LEGENDARY CAR UNDER A NEW GUISE AND A SLEEK NEW LOOK BY THE BMW GROUP'S PRODUCT DIVISION.A GREAT MODEL FOR YOUR COLLECTION. This is a Corgi 334 Mini-Cooper 'Magnifique' Car. Model Condition : Original - Near Mint - Paintwork is superb. Glazing and wheels are excellent. A very nice example. One end flap has a couple of written pencil markings. The first of two models issued with this number. In the following year a quite different Mini was issued with RN2 for the 1966 Rally celebration. These are photos of the actual model you are buying. Corgi Toys Austin Mini Van die cast model. Condition is Used. Dispatched with Royal Mail 2nd Class. ORIGINAL PAINTWORK. TYRES ROLL SMOOTHLY. TO SATISFY YOURSELF OF THE CONDITION. Corgi 249 De Mimbre Mini Cooper buena Original en mejores Repro De Caja. Corgi the mini Italian job special. Take a look at pic. Corgi 448 BMC Mini policía van 1964-66 van Original En Buen Estado REPRO Caja. /the 448 bmc mini police van model was made from 1964 for 5 years untill 69 with 908,000 with made AS SHOWN in great corgi book! Vintage Rare Corgi BMC Mini Cooper S Condition is Used. Dispatched with Royal Mail 2nd Class. This is for a Corgi Model. FAIR = BOX WILL BE COMPLETE BUT HEAVILY WORN/CREASED/TORN. GOOD = BOX WILL BE COMPLETE WITH AGE WEAR/CREASING OR LIGHT TEARS. EXCELLENT = BOX WILL SHOW MORE CREASING OR SLIGHT AGE WEAR/TEAR. More or less new, all I have ever done is open one of the sides of the box and slid the Minis half way out and put them straight back in to try preserve their newness! Having a clear-out so this has to go.reluctant sale as I still own 2 Minis and will always be a Mini fanatic.! Complete and original, in great condition. Minimal marks or paint loss. Box is in nice condition, minor damage to the policemans stand, tracker dog and policeman are in great shape. A lovely item.